The perfect companion for your freshwater or brackish water aquarium. Manage your aquarium with precision and modern design. 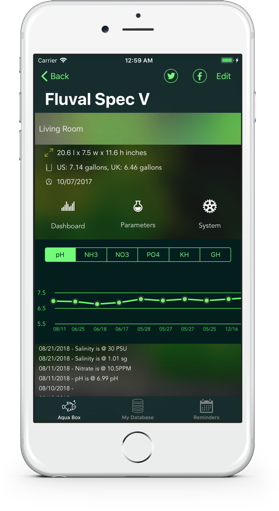 Aqua Box is a beautifully crafted freshwater and brackish water aquarium/pond management app that both beginner and advanced aquarist can appreciate. Monitor all your aquarium parameters with precise modern graphs and easy to read dashboard.